To celebrate the opening of the exhibition Horst. Photographer of Style at the V&A Museum in London we have created our first List. Horst was one of the greatest fashion and society photographers of the 20th century and the HORST list features a comprehensive bibliography of titles by and about Horst. Click here to view the full HORST list. Horst's first published book, containing a selection of his fashion and portrait work created in both Paris and New York. Ernest Rathenau's photographs of the East are beautifully presented in this book edited by Horst. A scarce copy of Horst's second book, containing close-up images of plants, shells and minerals. A beautifully produced album of Horst's photographs, containing seventy-two gravure plates. Exhibition catalogue celebrating Horst's sixty year career photographing iconic figures of the 20th century. 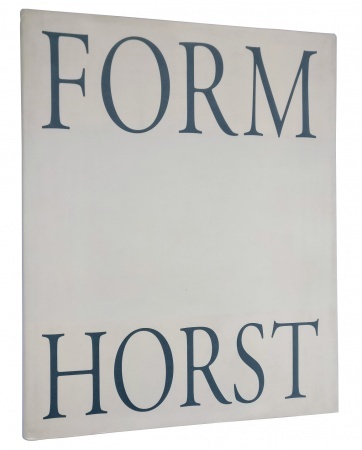 The definitive book on Horst; both a biography and a survey of his entire oeuvre. Catalogue for a touring exhibition in Germany of Horst's most memorable images. One of the most luxurious books produced on Horst, with beautiful reproductions of his work. An album of celebrity's homes and their owners captured by Horst. A scarce promotional brochure for perfume published in 1982 by Saks, New York. A marvellous album of photographic portraits of the leading lights of the 1930s art scene. A classic vintage book featuring Horst's photographs of the homes of the great and the good of the 1960s.